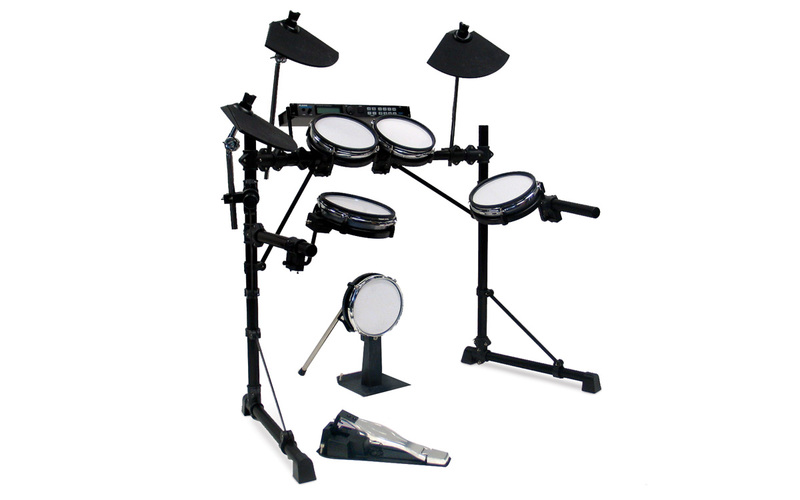 The Alesis DM5 Pro Kit is a complete high quality electronic drum kit. It delivers professional sound and familiar, comfortable playability thanks to durable, real drum heads. The DM5 Pro's quick setup and easy portability are complemented by a versatile sound selection. With the DM5 Pro Kit, drummers can practice quietly with headphones, or get as loud as they need on-stage by connecting to an amplifier. The flexibility of the DM5 Pro Kit functions insures that it performs equally well for recording or live gigs. 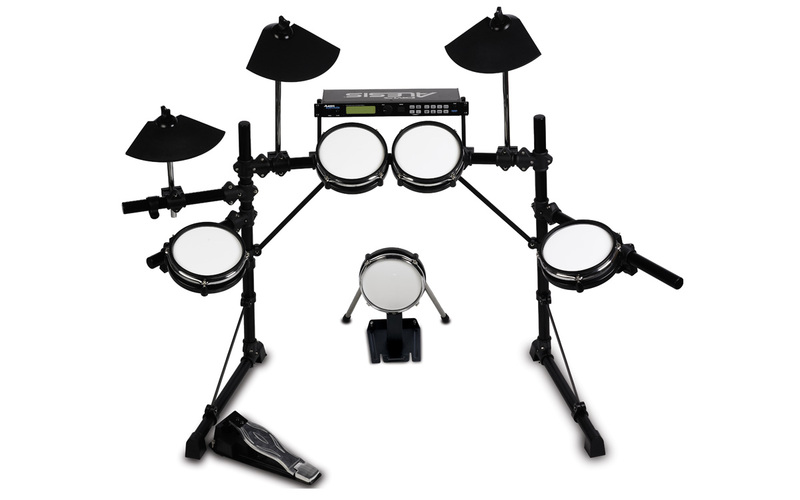 The DM5 Pro Kit features a self-contained, 5-piece electronic drum set including a dual-zone snare, kick, 3 toms, with ride, crash and HiHat cymbal pads. In addition, the DM5 Pro Kit includes a heavy duty HiHat foot pedal along with an updated, rack-mounted, programmable DM5 sound module with a stunning 540 percussion sounds and 21 pre-programmed drum/percussion sets. Alesis' proprietary Dynamic Articulation™ feature powers the DM5 Pro Kit's drum sounds to respond instantly to the force with which a pad is struck, for the most realistic and accurate playback possible. Step into the world of professional electronic percussion with the Alesis DM5 Pro kit. Snare, kick, 3 toms, with ride, crash and HiHat cymbal pads.